Add some pizzazz to your Spring wardrobe with jewel tones and pieces with interesting details. 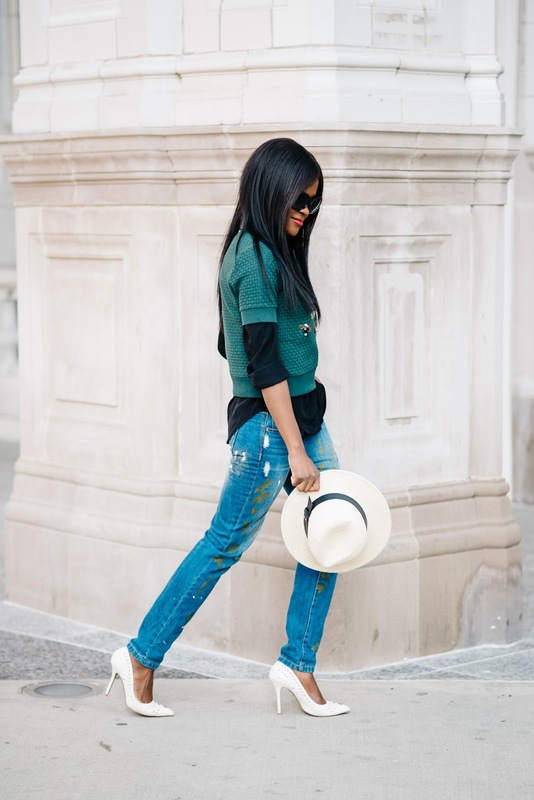 Spring presents a chance for us to revamp our closet with fresh trends, classic staples and updated accessories. Layering can be a clever tool to deftly transition from Winter to Spring, as well as to update a look with these new finds. 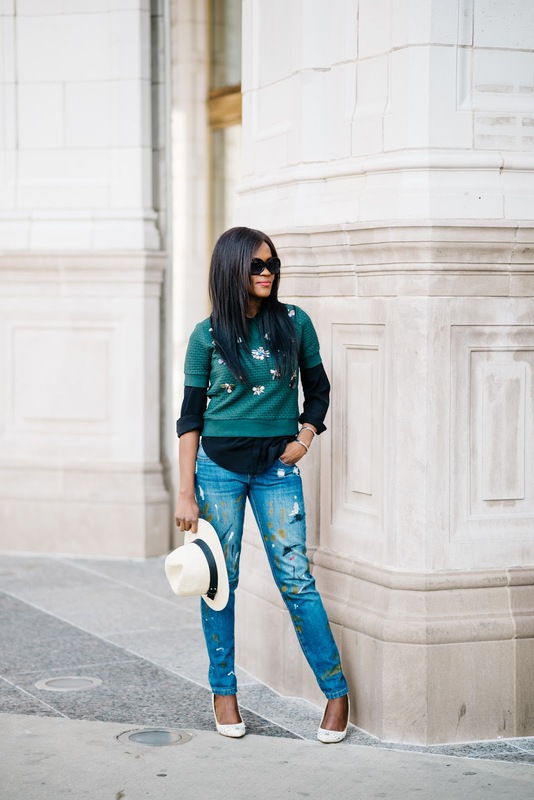 Finding pieces with interesting intricate details can add that extra pizzazz to an everyday casual look. 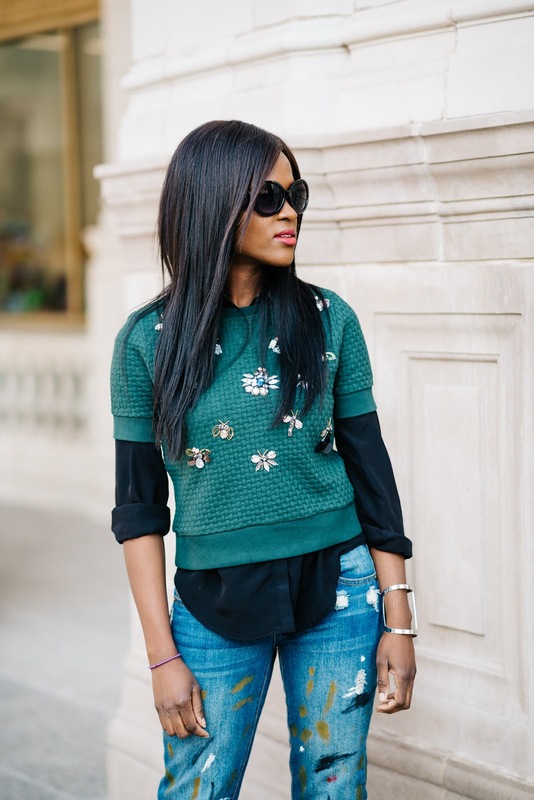 In this look, I have updated a classic black shirt with a gorgeous green pullover with jeweled detailing. This amazing find from Banana Republic is a perfect statement piece to add some flair to any look. 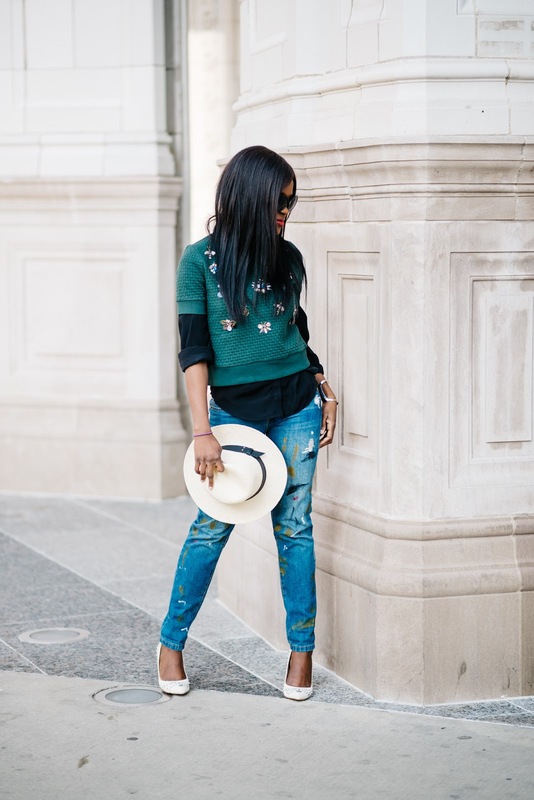 Paired with equally interesting jeans, featuring paint splatters in similar shades of green adds some major appeal. 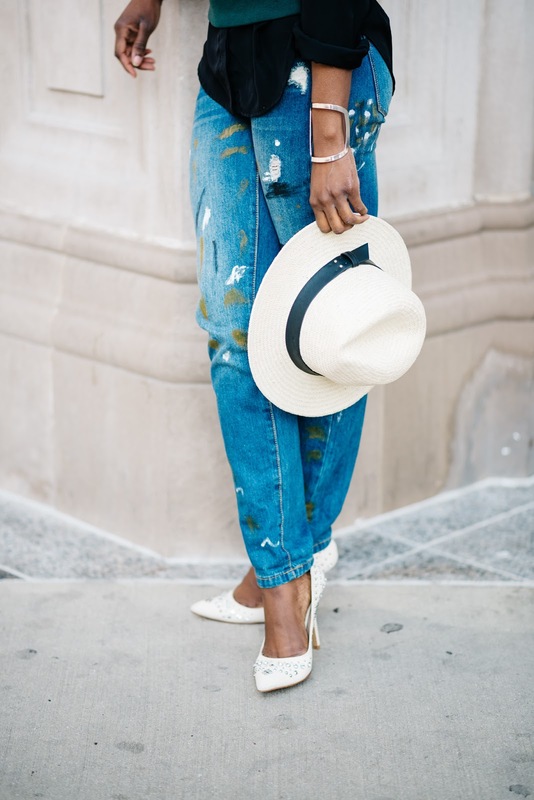 In case you didn’t get the memo yet, the biggest accessories of the season are hats. 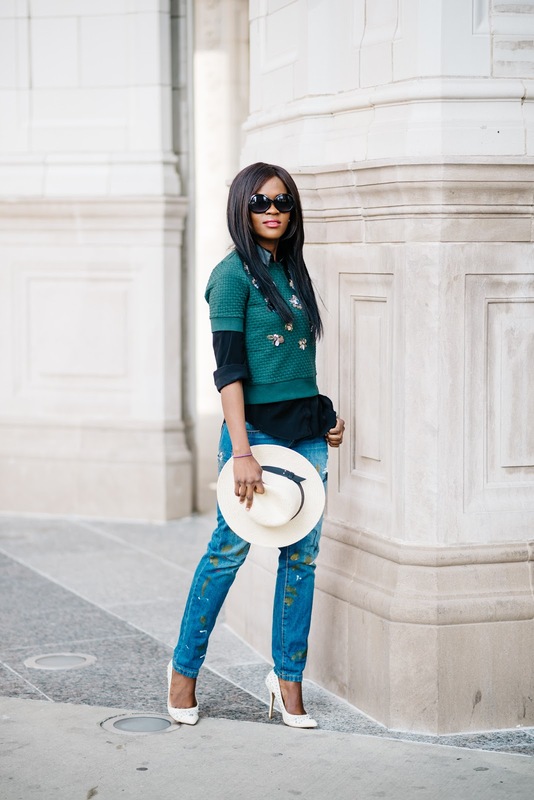 From panama hats, to fedoras and boater hats, there is a style that would appeal to your sartorial dispositions for almost any look or occasion. Worn or carried as an accessory, it updates a look and instantly adds a modern flair to an ensemble. I am a huge fan of hats and stay tuned because I intend to make them my uniform.